I know what it is to have a broken heart. If you don’t yet know, I do not wish it on you. But live long enough in this world and you will know. It may not be at the hands of your partner. It may be at the hands of a friend, a parent, a child. 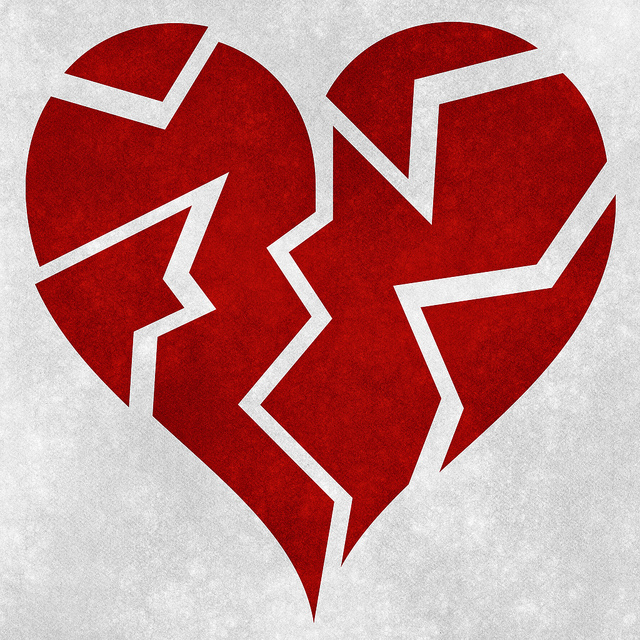 Before you write me off as a Valentine’s Day humbug (which would not be entirely untrue), let me say that if February 14 is all about lovey-dovey happiness, then a broken heart is the reality check that the Valentine’s Day of the movies and shops and Hallmark cards is a big fat lie. Being in love – properly in love – is a story of pain inflicted and then followed by repentance, of hurts received and forgiveness extended. But a broken heart, well, a broken heart makes you want to retreat from the world of people and nurse your hurt for a while. A broken heart makes you reluctant to trust people. A broken heart longs for protective walls that will not be easily broken down. A broken heart has nothing left to give. A broken or wounded heart is the common companion of love. At points when I have nursed a broken heart, kindly friends have urged me to “be careful” with whom I entrust my heart to in the future. They are right. I should be careful. Unwittingly and without any kind of malice, various people have stepped on my heart, crushed its spirit, and taught me to believe that people don’t really care. They have checked out of the relationship and let it fizzle to its predictably dreary end. That’s hard to come back from. Careful is what I want to be. Careful is the right approach to relationships of all kinds. Not everyone is trustworthy. But careful is not the same thing as keeping people at arms length. Sometimes the exhortation to be careful appears to suggest that relationships of all kinds should be held on to loosely because people might hurt you. That friendships or relationships should not be pursued with feeling or passion because there’s a chance that they’ll turn sour. That you should withhold investment in people because one day they’ll probably let you down and break your heart. It certainly feels true to me, in my broken-hearted state, but I’m not confident that my feelings are telling the whole story here. There is a bigger narrative at play. One in which vulnerability is an essential player. C.S. Lewis says, “to love is to be vulnerable”. Regardless of whom it is directed towards, love is risky. To respond to the risk by not taking it, is to carefully construct walls around ourselves; walls that keep out all but the most persistent people – and sometimes, them too. If you brave the risk of loving others and letting them love you, then there is only one thing you can know for certain: they will break your heart. And you’ll break theirs. You will let people down. And people will let you down. It’s what humans do. Again and again we re-enter the world of vulnerability and risk and love because on some level we know that there is something good in having real and deep human connections. We sense a truth that relationships of all kinds actually enrich our lives. And it is true: relationships do enrich our lives. But they are fraught with difficulty because we are limited and selfish and unable to do all we want to do. Perhaps you think the risk is too great. I often do. The good news for believers is that the risk isn’t too great. Do not misunderstand me: even for Christian people opening your heart to another person is very risky, and one of the most difficult things to do. But difficult isn’t impossible, even though sometimes it feels like it. You can open yourself up to others in the full knowledge that they will probably hurt you. You can do it, because it’s what God did for you. God was vulnerable with you. God loved you. He loved you to the point of losing his own Son. And he did it, so that he’d have a relationship with you forever. Human love can be very beautiful, but it pales in comparison to the love of God. Valentine’s Day is as much about vulnerability and brokenness as it is about lovey-dovey happiness. This is love, not that we loved God but that he loved us.